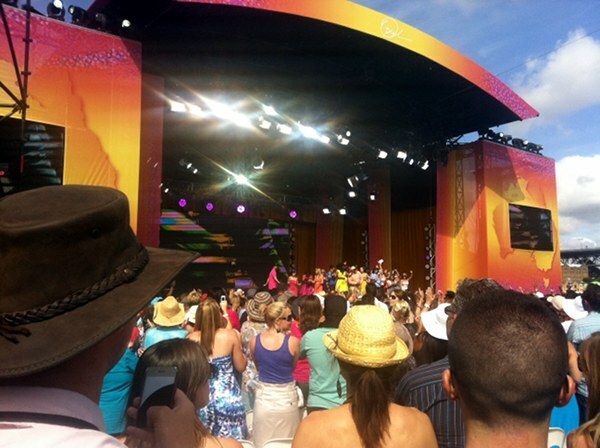 More photos live from Oprah - she's now on stage! 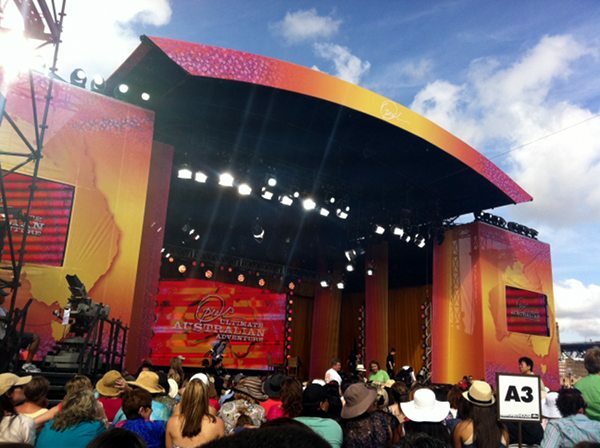 More photos live from Oprah – she’s now on stage! 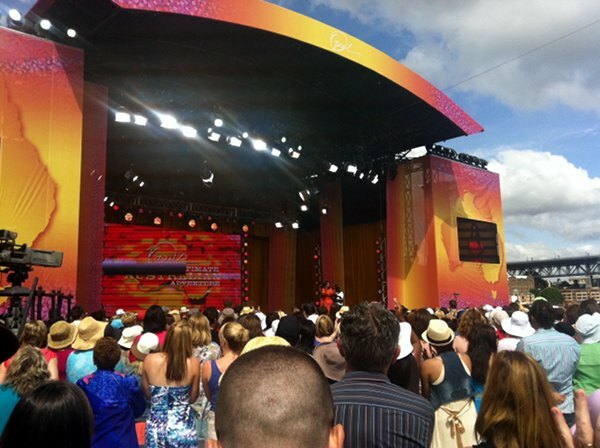 Here’s the main stage people and Oprah has just walked out! This is just such an exhilarating moment – I’m almost speechless! Make sure to bookmark this page and keep checking back as all new photos will be added here. 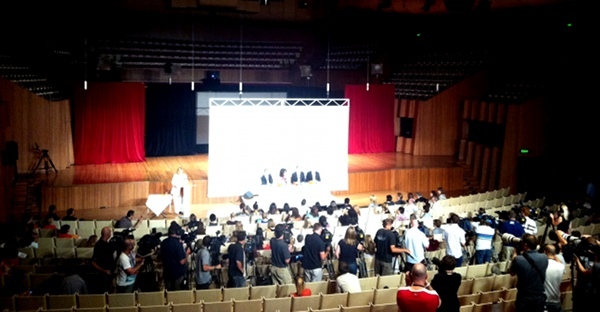 I managed to get into the press conference earlier and take a little photo. 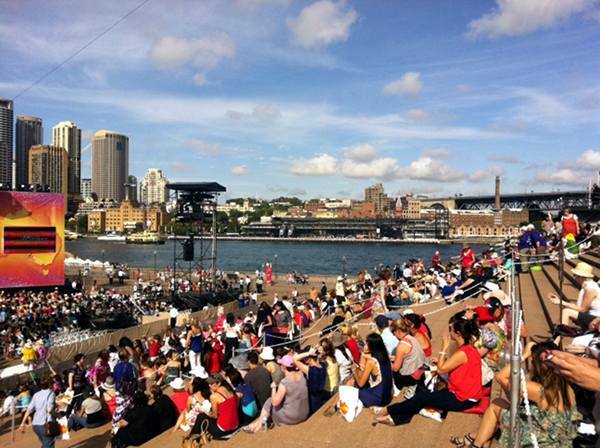 You can just see Oprah in the middle – she’s unmistakable! 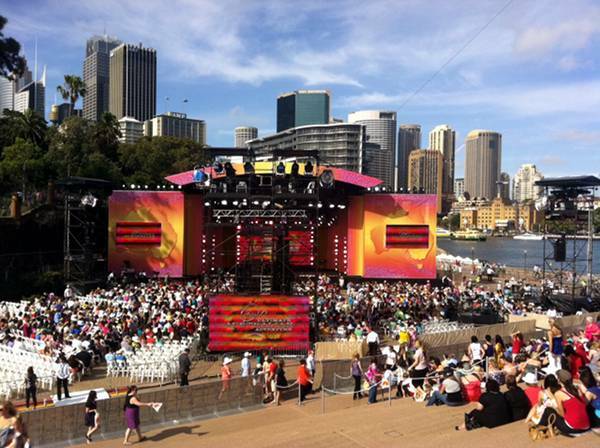 This is the view back towards the Sydney Opera House from my seat. 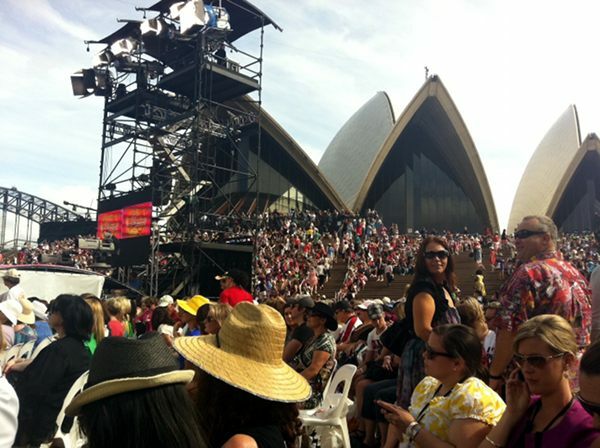 And another one from the back of the crowd. 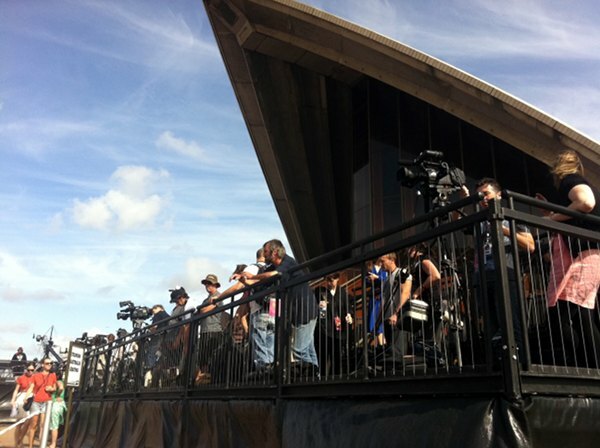 This is some of the press. 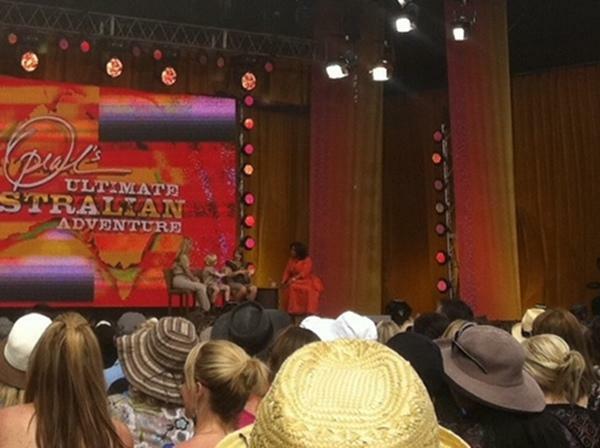 Oprah having a chat to Russell Crowe! 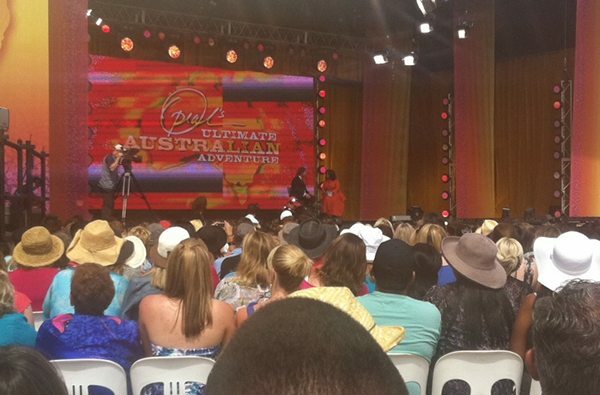 Robert (Bob), Bindi and Terri Irwin on stage with Oprah. 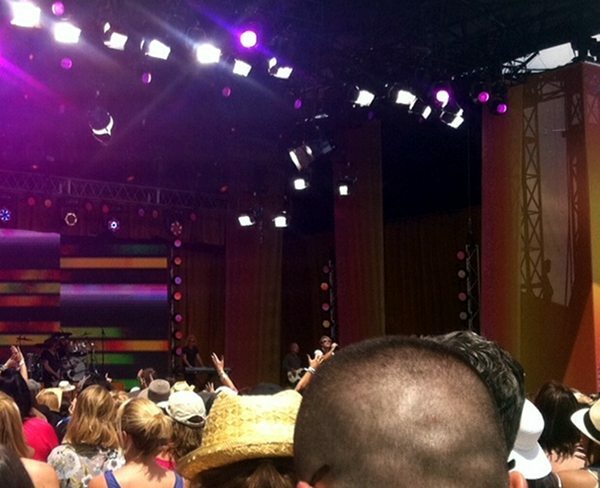 Oprah getting her hair and makeup done in a commercial break. 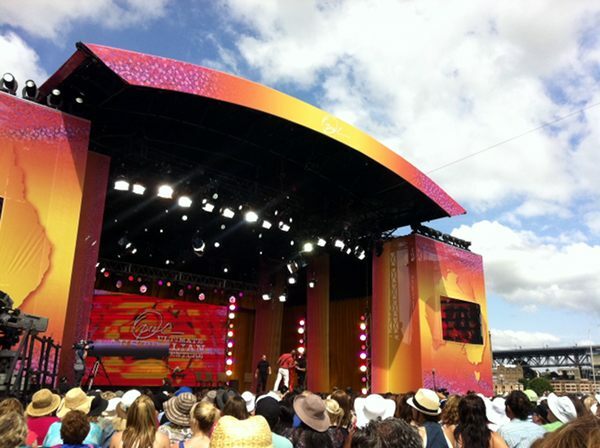 You can just see Jon Bon Jovi singing! There will more to come – bookmark this page and we’ll keep updating it!